Dust-free spandex material. Built-in bag and locking clasp. $16.95 Seen a lower price? Keep your keys free of harmful dust and debris with this dust cover. 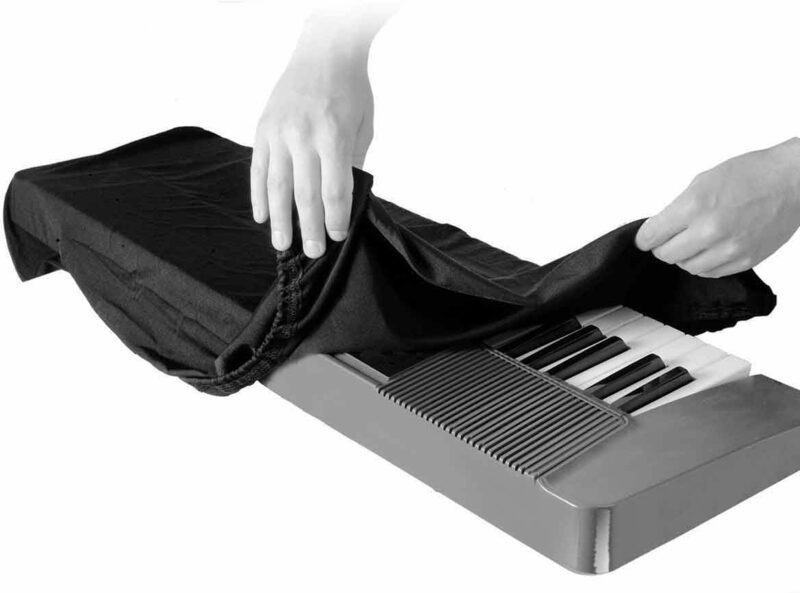 Dust free spandex material stretches to fit 61-key or 76-key keyboards. Comes complete with a built-in bag, plastic cord and locking clasp. Dust free spandex material stretches to fit over your keyboard and protect it from dust and debris. Locking clasp secures dust cover over keyboard and also fastens bag shut. Entire dust cover fits in storage bag when not in use.